CBS is temporarily halting production of television's top-rated comedy, Two and a Half Men, following news from Charlie Sheen's publicist that the actor is in rehab and is taking a break from the show. Publicist Stan Rosenfield announced Tuesday that Sheen has entered a rehab facility "as a preventative measure." He asked for privacy for Sheen, 44, but did not specify why the embattled actor was seeking treatment. Sheen's bosses expressed support for the actor in a statement that said they were temporarily stopping production of the show. 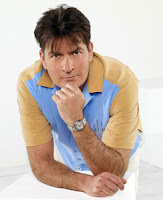 "CBS, Warner Bros. Television and (Executive Producer) Chuck Lorre support Charlie Sheen in his decision today to begin voluntary inpatient care at a treatment center," the statement said. "We wish him nothing but the best as he deals with this personal matter." The statement offered no timetable for when the show would resume taping.